is the best candidate to co-sign your account. Of course, a co-signer must have a good credit history and score. understand the rules of the program and that you will be able to pay your full monthly balance at all times. Pay your credit card balance in full. Why is it important to pay off your monthly balance in full? This is the best way to avoid interest rate charges. The APR cost can range anywhere from 4% to 14% of your total balance. In reward credit cards, the rate is bound to be much higher, starting from 15% to 20% or more. Hence, paying off your full balance will not only enable you to save money, it will also minimize the risk of debt build-up and bad credit. Choose a card that reports to the major bureaus. Not all credit cards for students report to the three major credit bureaus. However, if you want to establish personal credit history and build a credit score, your account activities should be promptly monitored. If your chosen student credit card does not offer this important provision, you will not be able to use as tool for credit building. Don’t get stuck in debt. Using your student credit card on small purchases is a good way to build credit. However, you should be very careful about incurring a very large balance in your account, making repayment difficult. If you fail to keep up with your monthly payments, you will incur late fees and interest rate charges. Even worse, your credit score will suffer. Before charging an expense to your card, seriously consider if you will be able to submit your full payment on time. Use your credit line wisely. 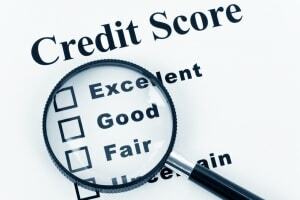 If you want to achieve an excellent credit score, be careful that you do not exceed 30% of your credit limit. Before using your credit card for payment, check your balance first and calculate your purchase. Even if your student credit card offers a low rate, you should still keep your monthly charges as minimal as possible. Don’t be a co-signer. Some of your friends who are under 21 years old may ask for your help by being a co-signer. However, you should keep in mind that co-signing an account is a serious responsibility. If your friend defaults from payments, you will be accountable to pay for the debts and your personal credit score will also suffer. Samantha Wilson is a consultant for student bad credit cards. For years she has written student credit card reviews that would help build student credits.